When a courier arrived at my office door recently one morning carrying an enormous cardboard box I had no clue about what he was delivering. As I opened this mysterious and very securely taped box it soon became clear it had been packed by an expert. Wading through the packaging I was very pleased to discover it contained Taschen’s The James Bond Archives 007 edited by Paul Duncan. Having read about the book on various websites and seen examples of some of the spreads inside I was left with no real idea of what to expect from the final product itself. This very heavy book is housed in its own cardboard carrying case (with plastic handle) with its title emblazoned on the side. Opening this second box I removed the shrink wrapping from the book with surgical precision. There was something about the look and presentation of the book, that even before I opened it, made me feel I should leaf through it wearing white cotton gloves. The following two entertaining hours were spent leafing through just the imagery contained in this beautifully assembled and produced volume, glancing at the occasional caption, the fascinating file documents, and reading some of the fragmented copy from the filmmakers involved, that combine to give the reader a feel for the creative collaboration that goes into the making of all the Bond films. In collaboration with EON Productions, this trade edition of The James Bond Archives includes all the same stunning imagery and behind-the-scenes knowledge as the original XL book, just with a smaller format and a softer price-tag. The result is an affordable, compact yet comprehensive record of every single Bond film ever made. 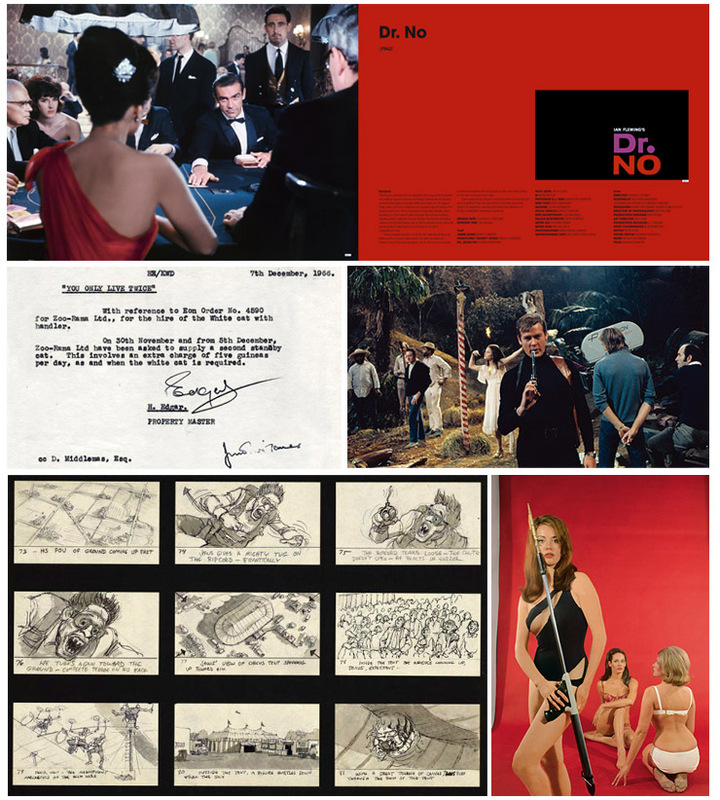 The wealth of on-set photos, unseen stills, set designs, storyboards, production memos, is supplemented by an oral history recounted by over 150 cast and crew members. From producers to stuntmen, directors to production designers, these personal narratives relate the true, inside story from the Bond sets, offering outstanding insight into the personalities and processes behind the most successful and longest-running film franchise in cinema history.